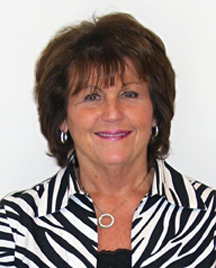 Jane Johnson, President, has worked at Quality Publishing since purchasing the company from her parents in 1986. Jane and her late husband Tim worked tirelessly to build the company. She specializes in customer service issues and thoroughly enjoys working with customers in the conceptual pre-design phase. In her spare time, Jane is very involved in several civic groups, including Butler County United Way, and was the first ever female President of the Lindenwald Kiwanis. Jane was honored to be awarded the Fairfield Chamber of Commerce Small Business Person of the Year for 2010 and the Greater Hamilton Chamber of Commerce Small Business Person of the Year for 2014. Through her leadership, Quality Publishing has been able to continue to grow and flourish into the 21st century.